Skipper Craig Peterson won the toss and put his team into bat, only to see his opening partner (Ben Moultrie-Ford) going back to the pavilion in the second over for just 1 run. Peterson stayed put and scored 56, having a very useful 2nd wicket stand with Justin Hutchins of 90 before Hutchins was caught. 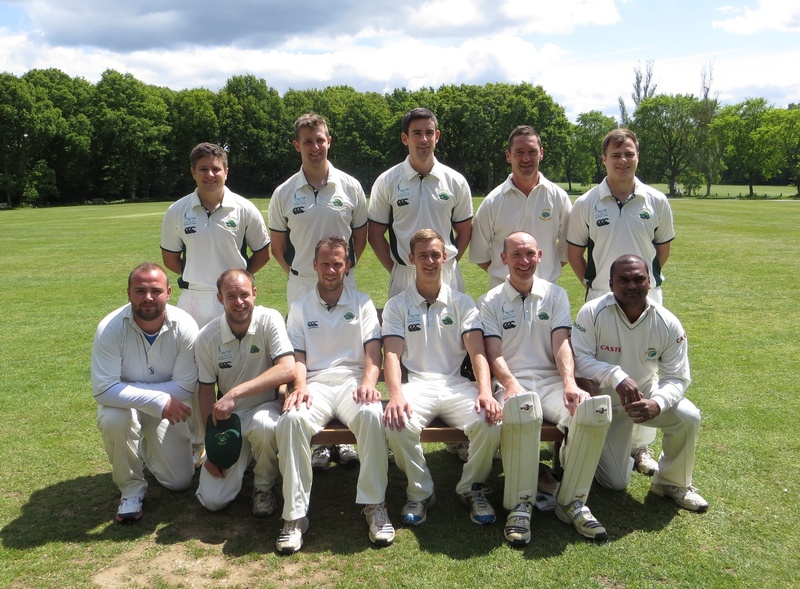 After a brief visit to the middle by Lewis Thompson (14 runs), a disastrous middle order collapse then saw 3 ducks before Jamie Woodley – making a very welcome return to cricket after a long break – came in at Number 8 and scored 50 which included 3 fours and 5 sixes. In fact, the 3rd, 4th, 5th, 6th and 7th wickets all fell with the score on 107 and it was only thanks to Woodley – ably supported by Tristan Reynolds that it moved on. Best bowling for P&TG came from Cockcroft who took 5 for 52. Amazingly, only one batter for P&TG got into double figures – well – triple figures actually, and that was C. Mason who scored 113 not out. None of the other batters scored more than 9 and it was solely due to Mason that the match went P&TG’s way. There was some heroic bowling from Ley Hill with Craig Ottaway taking 5 for 55, supported by Thompson (2 for 60) and Woodley (1 for 27).